Over 14,500 new dwellings were built in 2017, according to the Central Statistics Office, a year-on-year increase of 46%. However, the CSO could not say how many of the homes were social housing, saying that was a matter for the Department of Housing. Minister for Housing Eoghan Murphy later put the figure at around 2,200. The report is the first of a quarterly series from the CSO. It says it has accepted that the Department of Housing method of using ESB connections to calculate new builds overestimates the completion figures. In 2017, there were 19,000 ESB connections, but just under 14,500 new dwellings completed - a difference of around 5,000. Mr Murphy welcomed the CSO figures saying they showed progress being made under Rebuilding Ireland. He said figures for new builds were very welcome but more work needed to be done. He said ESB connections had been used to calculate new builds for the last 40 years but that became tricky because of the number of ghost estates. 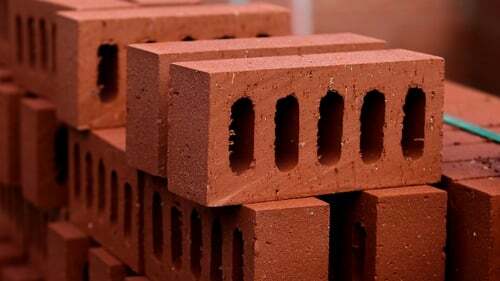 The CSO is recommending that the enforcement of Building Energy Rating (BER) regulations needed to be strengthened as it found a level of non-compliance - particularly in one-off rural houses. Mr Murphy said a working group would be looking into the recommendations. The CSO report shows the majority of the new houses for 2017, 63%, were built in counties Dublin, Cork, Meath, and Kildare. Over half the homes were part of a scheme, 29% were single units and 16% were apartments. Commenting on the report, Kieran Culhane, senior statistician with the CSO, said there has been much debate around the reliability of housing data and said the data released today is the most comprehensive and accurate count of the number of houses built. He acknowledged though that some limitations remain. For its report the CSO linked data from the ESB, Building Energy Rating data, and information from Revenue and the Census. It shows that over 3,500 new dwellings were completed so far this year. Commenting on today's figures, Goodbody economist Dermot O'Leary said the view that Ireland has a severe housing shortage is strengthened by the new data. Mr O'Leary said that on the basis of the first quarter performance, less than 20,000 units will be completed in 2018. He said this compares to Goodbody's estimate of 35,000 household demand a year, not to mention the "pent-up" demand resulting from the undersupply of recent years, where annual supply was less than 10,000 units a year. "With housing shortages being the main domestic political policy priority for the Irish government, a renewed focus will hopefully be seen after this clarity has been provided," he added. The Sinn Féin housing spokesperson has said the publication of the CSO figures is an opportunity for greater transparency on the delivery of new homes. Eoin ÓBroin said his party has been calling for the Department of Housing to abandon its "misleading" data source of ESB connections to officially count new homes. Deputy Ó Broin said the CSO data shows that there were 14,446 new dwellings completed in 2017, contrary to Minister for Finance, Public Expenditure and Reform Paschal Donohoe's claim earlier this year that 17,000 new homes were completed.